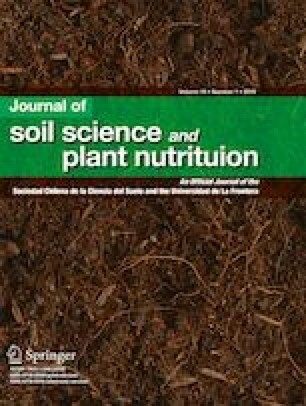 The purpose of this study is to evaluate the relationship between Si and NH4+ toxicity in the context of the nutrition, physiology, and production of sugar beet grown using hydroponics. We hypothesized that NH4+ affects the physiology of the plant, accumulation of nutrients, and dry matter, with the possibility for Si to mitigate this toxicity. The experimental design used was completely randomized, in a factorial scheme of 2 × 5, corresponding with the absence and presence of Si (2 mmol L−1) and five concentrations of NH4+ with four replicates. The following series of physiological evaluations were carried out: photosynthesis, stomatal conductance, transpiration, with the use of an infrared gas analyzer (LICOR, Inc., LI-6400), the dry biomass, N and Si accumulation, and Si use efficiency in the roots. Accumulation of N and photosynthesis in the leaves was higher in the presence of Si. An increase of NH4+ increased transpiration, especially in the plants cultivated without the incorporation of Si. Stomatal conductance was lower in the presence of Si. Dry matter was reduced when plants were exposed to higher concentrations of NH4+, showing a greater reduction in the root than in the aerial part. The use of NH4+ equal to or higher than 15 mmol L−1 damaged the photosynthesis. Transpiration and stomatal conductance were less affected in the presence of Si and in the accumulation of N and Si in the roots. Dry matter was reduced when plants were exposed to higher concentrations of NH4+, and this effect was mitigated in the presence of Si. The negative effects caused by the toxicity of NH4+ in sugar beet plants, up to concentrations of 15 mmol L−1, can be mitigated by the presence of Si. Plant physiology is compromised at high concentrations of NH4+. At 15 mmol L−1 of NH4+, the dry matter in the roots is reduced even though Si is present. The present work was conducted with the support from CNPq, Brazilian National Council for Scientific and Technological Development – Brazil, and TWAS, the Academy of Sciences for the Developing World. This study was funded by CNPq, Brazilian National Council for Scientific and Technological Development – Brazil, and TWAS, the Academy of Sciences for the Developing World (Grant number, 304201/2014-6).